To create a simple FetchXML report, follow my post FetchXML Report. 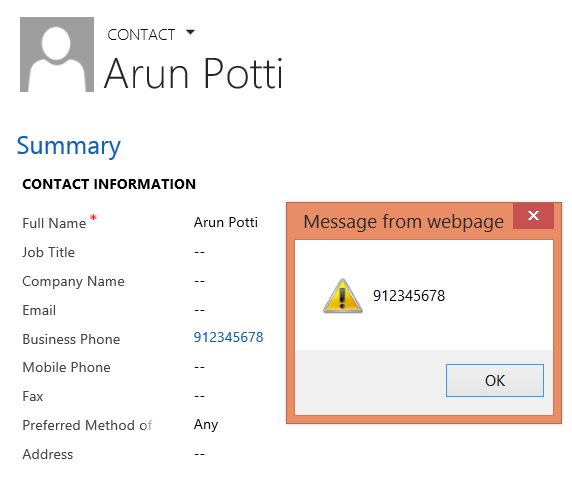 Task: Write a Console Application to Retrieve the following attributes from Contact record, where Full Name = Arun Potti & Status = Active, using FetchXML. 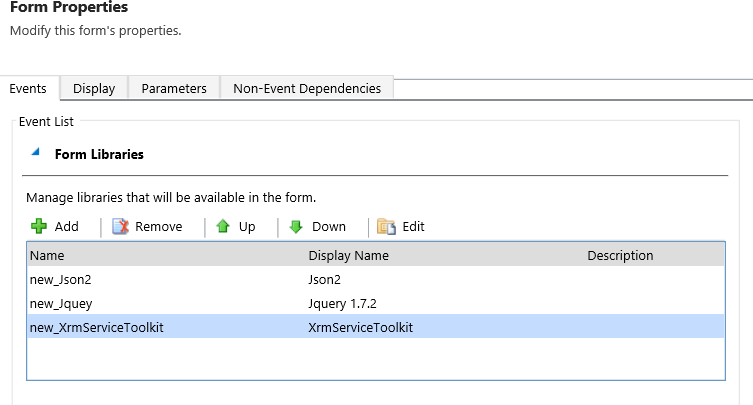 Step 1: Include the below References in your project, you can get the same from Latest SDK. 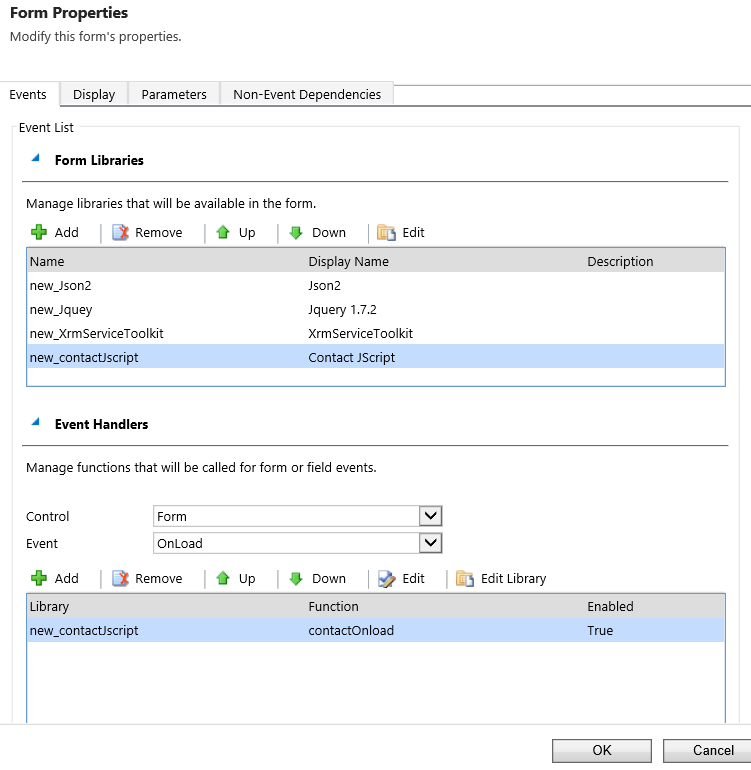 We can create custom reports using FetchXML, useful for both Online and OnPremise CRM. 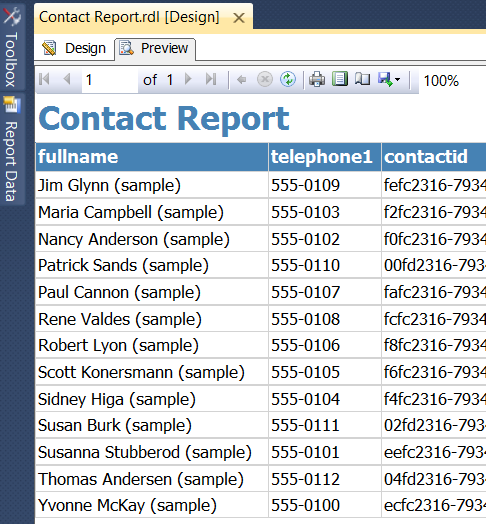 Quickly see a simple example, to get the list of all Contacts. 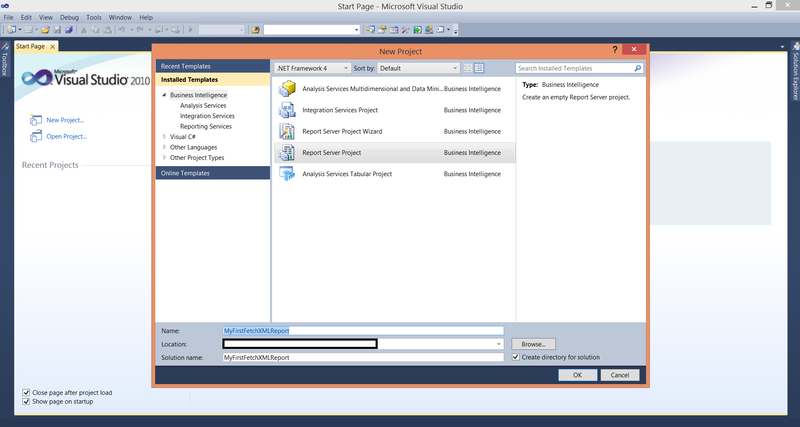 Step 2: Click New Project and select “Report Server Project”. Name your report “MyFirstFetchXMLReport”. 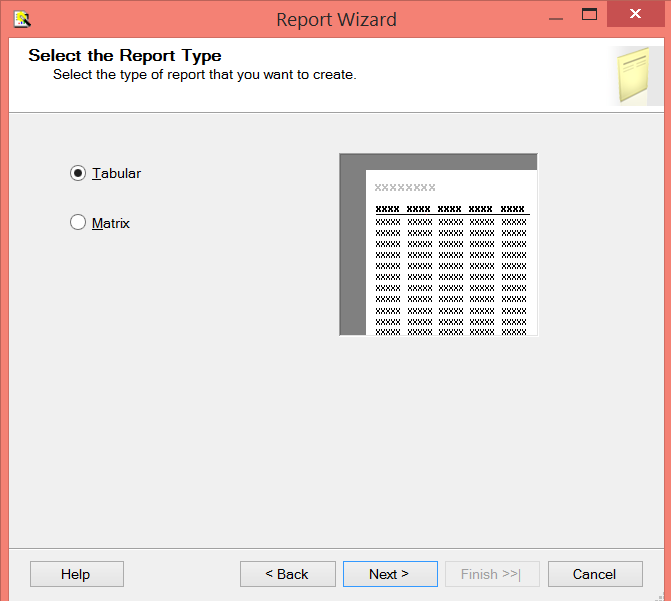 Step 3: In Solution Explorer, Right Click on Reports Folder and Select “Add New Report”. 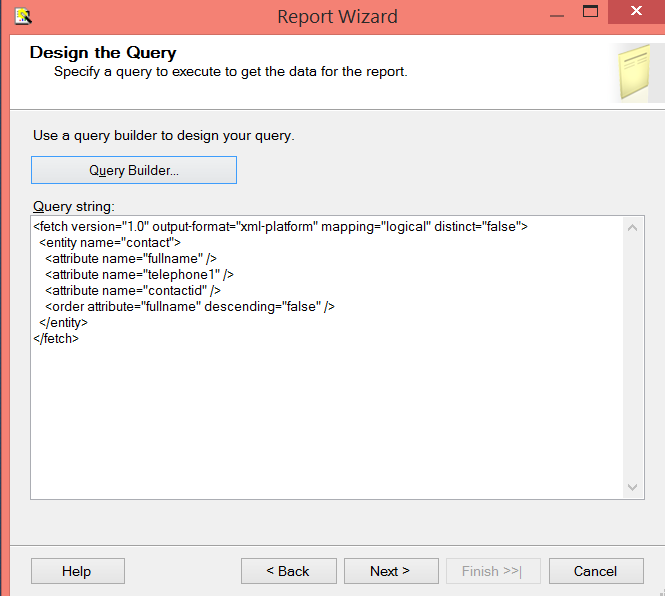 Step 4: Provide the below details for the Data Source in Report Wizard. 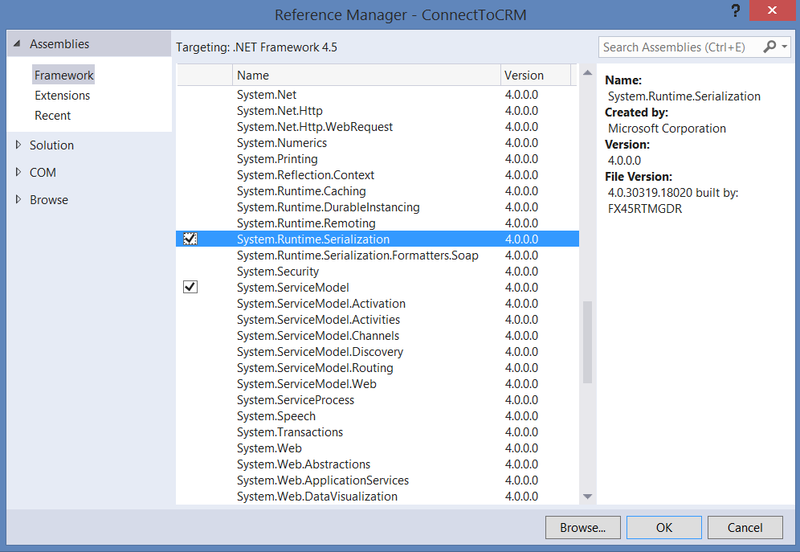 Type Select Microsoft Dynamics CRM Fetch.If you don’t find this option then search for exe “Microsoft Dynamics CRM 2013 Report Authoring Extension (with SQL Server Data Tools support)” download and install. Connection String It’s a combination of both organization URL and Name separated by semicolon. Step 5: Click on Credentials Button and select “Use a Specific user name and password”. Provide userid & password and Click Ok. Click Next Button. 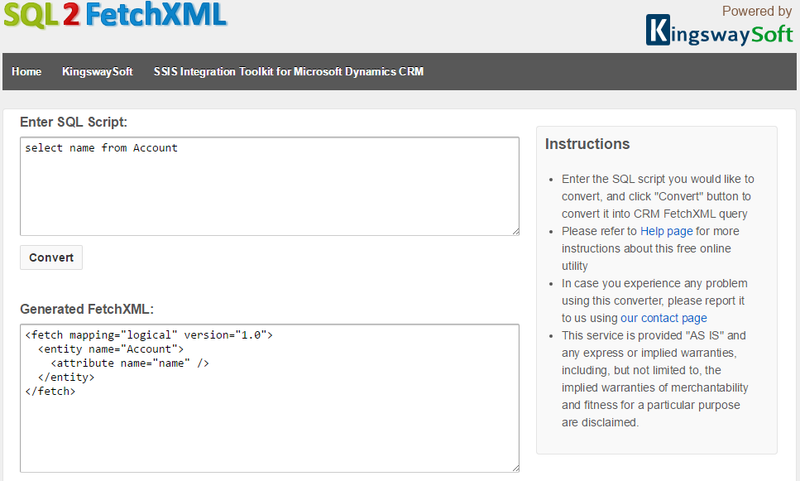 Step 6: Provide Query String which is nothing but FetchXML. Follow the below steps for getting it. Step 7: Find the below path for opening for Advance Find. Step 8: In Advance find, click on New Button. Step 9: Click on Download Fetch XML button and download the FetchXML.xml File and open it with Notepad. 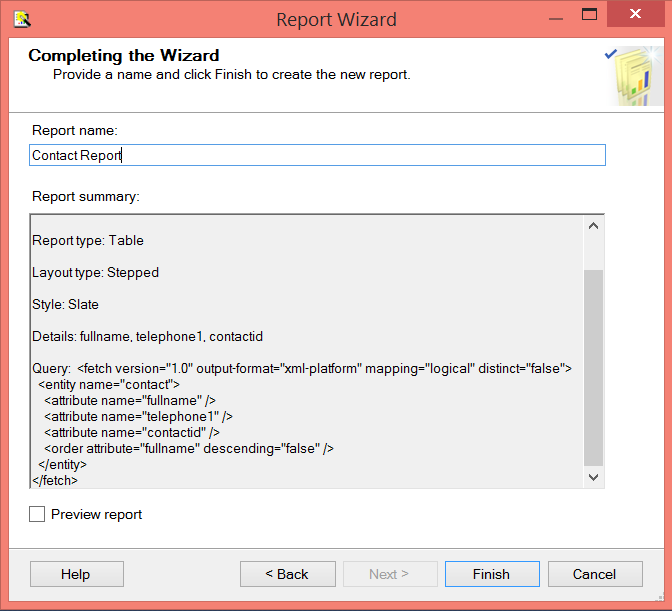 Step 10: Finally Report Wizard looks like the below, Click Next. 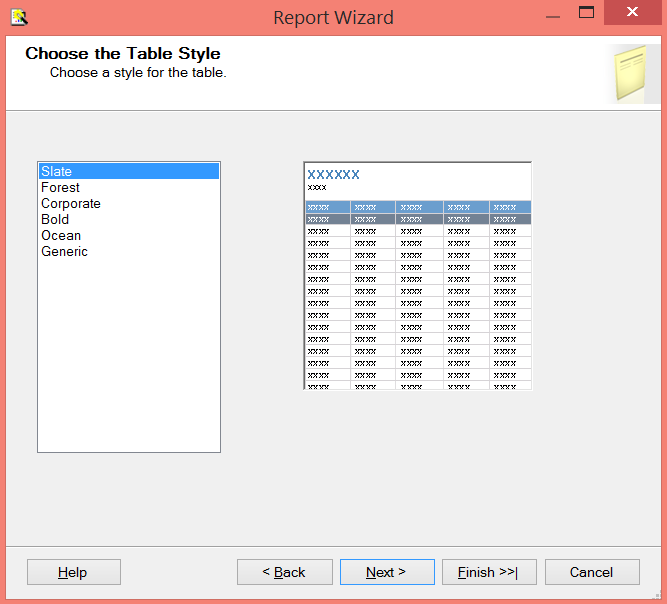 Step 11: Select Report Type “Tabular”. Click Next. 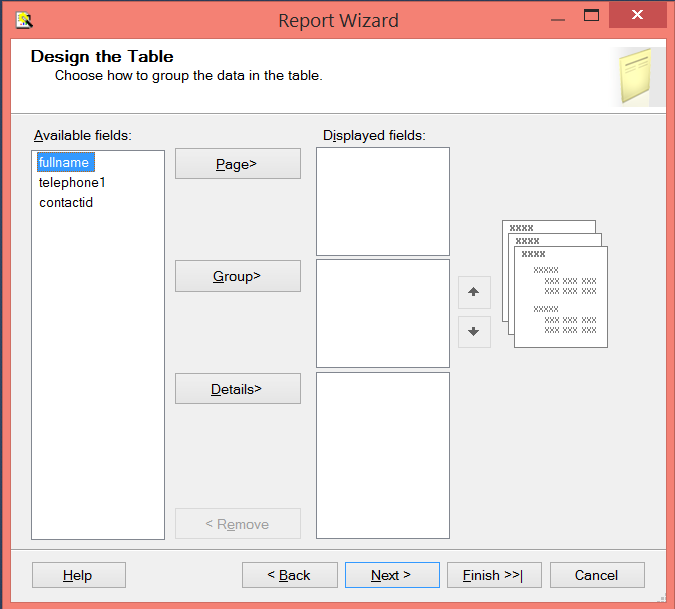 Step 13: Select Table Style and Click Next. Step 14: Give Report Name and Click Finish. Step 15: Finally the Report design done. Step 16: Click on Preview. Good Luck. Please revert for any queries.